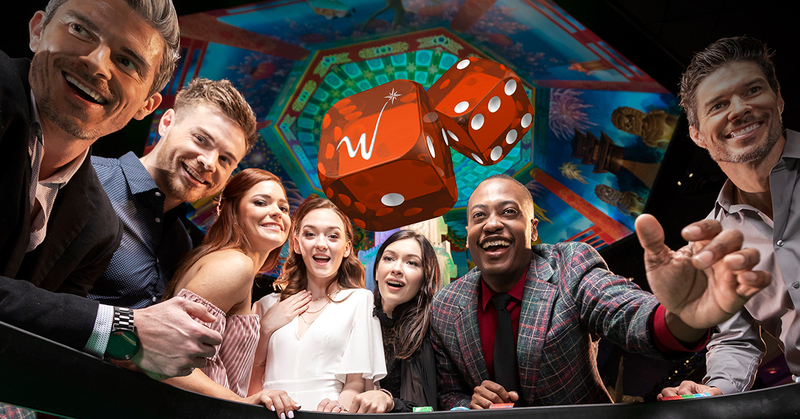 A classic casino game, Craps, is now at WinStar World Casino and Resort! Commonly known as one of the most thrilling games on any gaming floor, it’s easy to get caught up in the fast-paced, high-flying action of the craps table. In the game of craps, you’re simply betting on the outcome of the roll of dice. Don’t be intimidated by the table when you walk up. 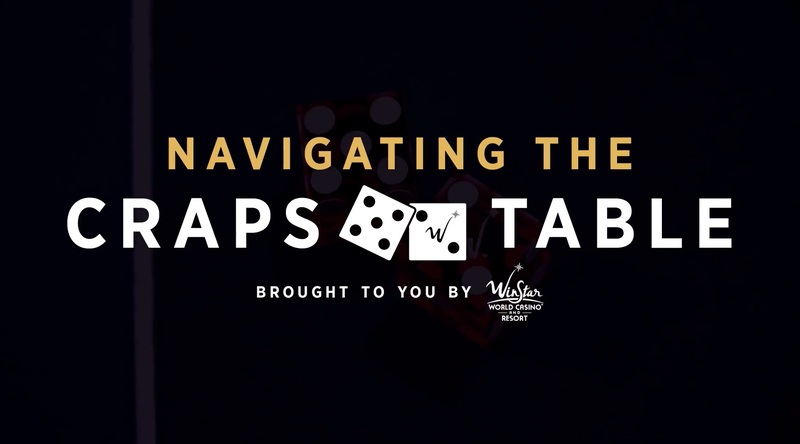 It might be loud and there are plenty of things happening at once, but we’ll help you with a few of the most common bets to get you on the path to becoming a craps connoisseur. The come-out roll is the first roll a new shooter makes. If the shooter rolls a 7 or 11, then the pass line wins. If he or she rolls a 2, 3 or 12, the bet loses, otherwise known as “crapping out.” If it results in any other number, that point value is established. The pass line is the simplest bet in the game. When you bet on the pass line, you’re betting on the shooter to roll a 7 or 11 on their come-out roll. If the shooter rolls a 2, 3 or 12, your pass line bet loses. If the roll results in a 4, 5, 6, 8, 9 or 10, then that point value is established and your pass line bet stays on the table until that point value is rolled again or the shooter rolls a 7. You win if the shooter rolls the point value; you lose if the shooter rolls a 7 and the table is then reset. This bet pays even money. The don’t pass bar is the exact opposite of the pass line. This bet means you’re betting against the shooter rolling their point that was established on the come-out roll. If the shooter rolls a 7 before they roll their number, then you win. DO I HAVE TO THROW THE DICE? If you are shy, or just want to get a feel for the game before taking your shot, you can absolutely pass on your turn! WHAT ARE THE NUMBERS ON THE RIGHT AND LEFT OF THE PUCK? The 4, 5, 6, 8, 9 and 10 at the top of the table are where the puck goes if the shooter rolls one of those numbers on the come-out roll. That number then becomes the point and the shooter’s goal is to roll that number before he or she rolls a 7 in order to win on the pass line. WHAT DOES THE FIELD MEAN? This is a one-roll bet where you place a bet in the field and if the next roll is a 2, 3, 4, 9, 10, 11 or 12, you win. Hard ways are when you roll two of the same number to total 2, 4, 6, 8, 10 or 12. For instance, if you bet on a hard 8 and the shooter rolls a 4 and 4, then you win. Once you’ve mastered the pass line and odds bets, the natural progression is to begin making come bets. With a come bet, you are creating your own pass line bet on any roll after the come-out roll. If you place a come bet and the shooter rolls a 5, then your come bet is then placed on the 5. From this point forward, you’re not only playing the field’s point (the point that is established by the shooter’s come-out roll), but also the point established in his or her next roll. A simple way to look at it is a game of craps within the game of craps. You may also take odds on your come bet. With knowledge of these basic terms, you’ll quickly become a pro at playing Craps. Let’s get out there and have some fun at our all-new craps tables!